Pfff, the last couple of days I had to work all day 'till 9pm, so by the time I came home I was so exhausted I couldn't force myself to open a bottle of polish. 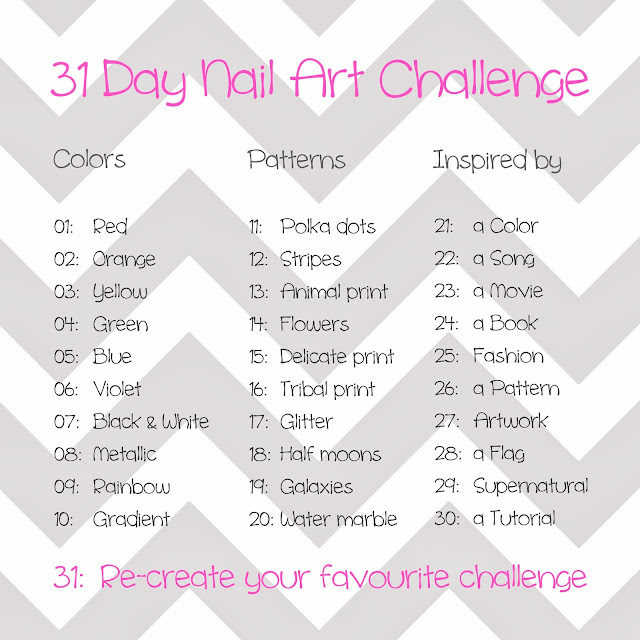 But now I have a week off, so I'll be able to paint my nails more often and of course... ...post more often! So that was my little excuse for not posting every day, and now up to where you came for: Nails! Today's orange and I really don't like orange. Maybe it is because it is just not flattering with my skin tone. That's why I didn't have much inspiration for this one, but I managed to make a manicure that is inspired by the Dutch soccer team. How? 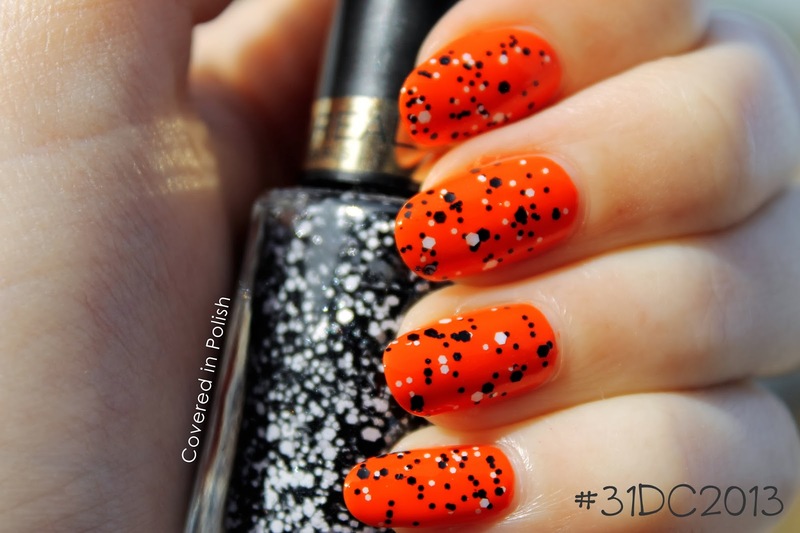 Well, orange is THE colour of the Netherlands, and the black & white spots reminded me of the regular soccer ball. Is it just me? Guys? Anyway, here are more pics. 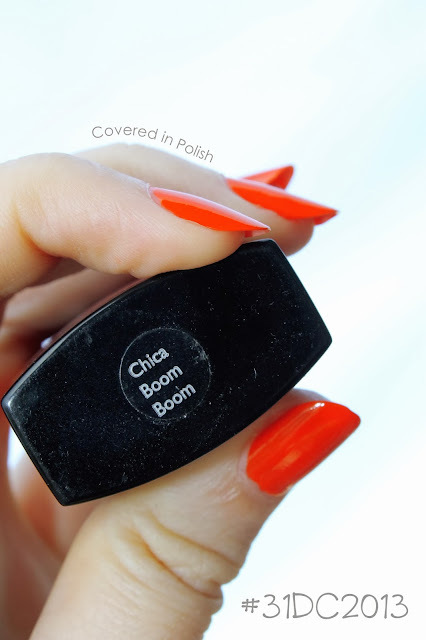 The base colour for todays manicure is Chica Boom Boom by H&M. 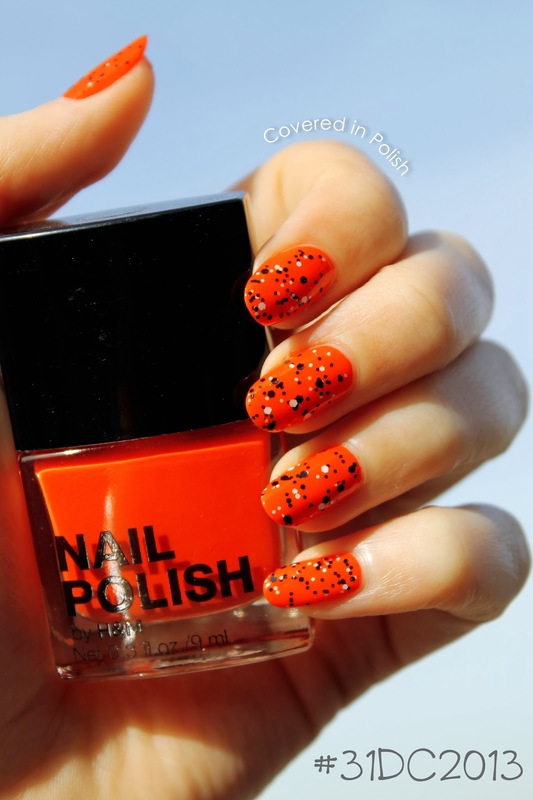 It's a warm, deep orange, opaque in 2 thin coats. Also like the formula very much! 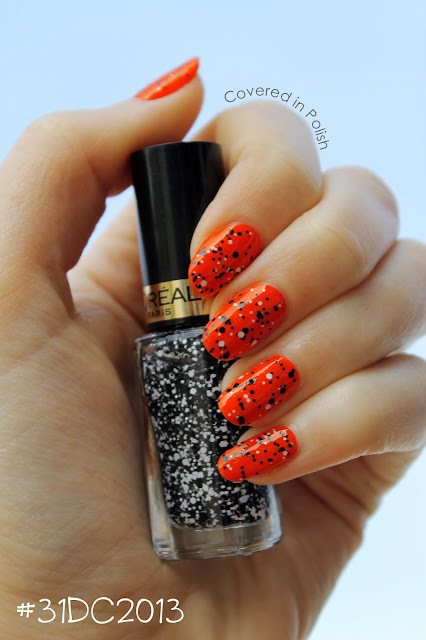 I topped it with one generous coat of Confetti by L'Oreal Paris. Lastly I sealed everything with a layer of Seche Vite. Although my thoughts about this mani weren't my best, I did get a few compliments on it. Hope you liked this post, the yellow challenge is coming very soon!